Super Silver Haze, bred by Green House Seeds, was the first prize winner at the High Times Cannabis Cup in 1997, 1998, and 1999. It also won awards at the High Times Harvest Festival. By crossing the genetics of Skunk, Northern Lights, and Haze, we are left with a beautiful, sticky sativa blend that boasts an energetic, long-lasting body high. The uplifting effects are a great remedy for high stress levels or when suffering from a lack of appetite or nausea. 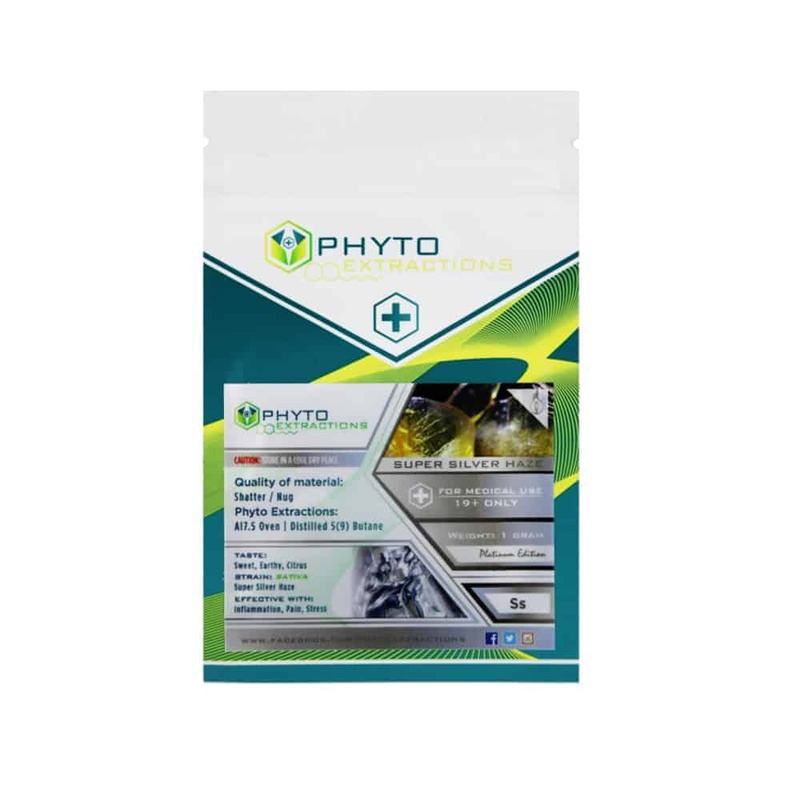 6 reviews for "Phyto – Super Silver Haze – Sativa Shatter"
Good long lasting high, good flavor and hardly any burnout! Excellent high! Hard to say, tastes more like dirt and citrus to me but still a great one. Always a fave. A classic !! What a beauty .. Gets me lost in my own mind.